Cotton-Soft Cheesecake is another sweets that we got at Dominique Ansel with Cronuts and Penny The Pig Religieuse. As refreshing as a cold glass of milk! With Penny The Pig Religieuse. The top was a layer of caramelized sugar like crème brûlée. At the bottom, there's a thin layer of sponge cake and the cheesecake was very light and airy like soufflé. The brûlée top was unique and adding sweetness and nice burnt flavor to the fluffy cheesecake. 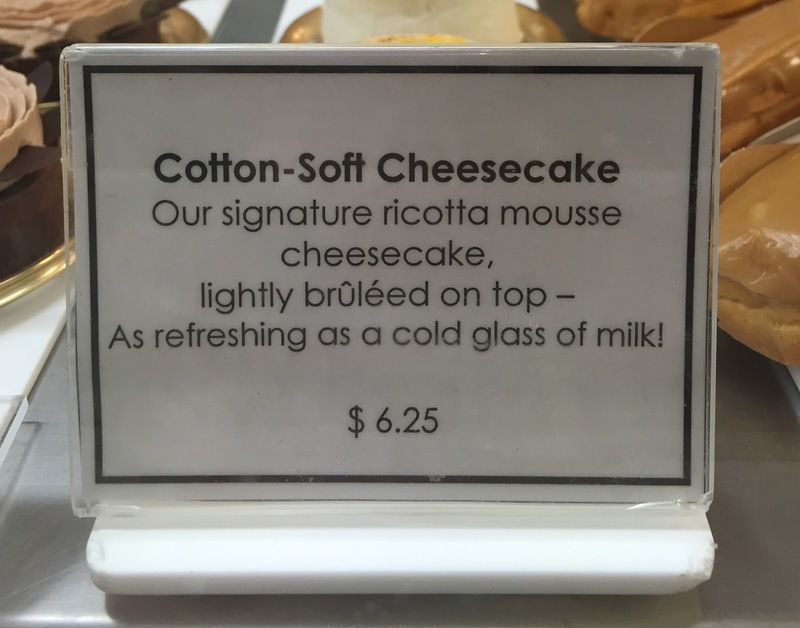 It's tasty, but I like thick NY cheesecake more and also it's a cupcake-size cheesecake with much higher price.